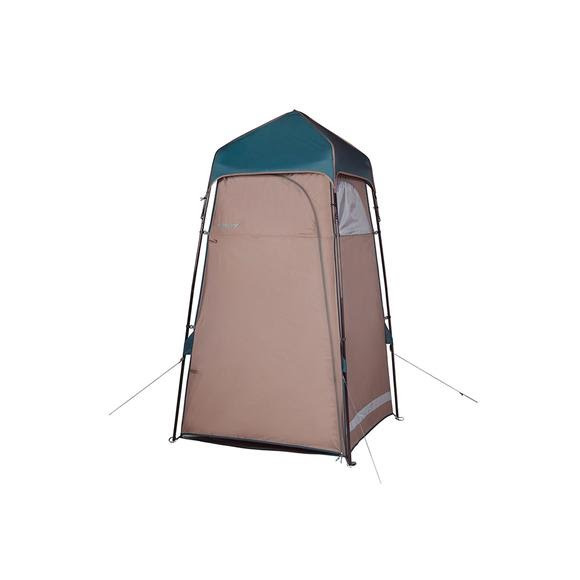 Introducing Kelty's H2GO privacy shelter; for those who enjoy having some extra amenities out there. Doubling as a shower and privacy shelter, this 7-foot-tall structure is built to provide coverage as you do what you need to do. Steel poles create great stability, while its free-standing design helps you set up your living space just how you want it. Introducing Kelty &apos;s H2GO privacy shelter; for those who enjoy having some extra amenities out there. Doubling as a shower and privacy shelter, this 7-foot-tall structure is built to provide coverage as you do what you need to do. Steel poles create great stability, while its free-standing design helps you set up your living space just how you want it. A large zippered door provides easy access, and internal wall pockets keep all of your essentials within reach. Roll out floor with drain hole and an opening for a shower tube provide the full capability for you to freshen up!